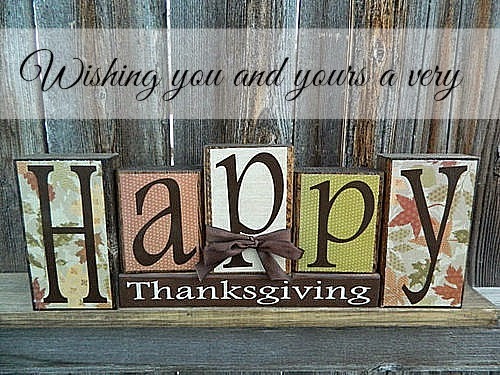 May your day be full of family fun, great food and lots of laughter! Oh, can't forget Mr Diy's favorite thing - football! We are up in the mountains of NC with family for a few days, hoping for lots of snow! Gramma's been baking and cooking up a storm... we've got board games and cousins to play with.... and beautiful scenery that makes getting away from it all that much more special! Thank you for making my first three months of blogging so much fun!